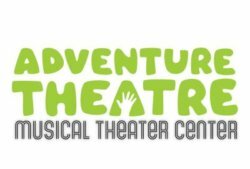 The Artistic Director primarily leads, oversees, develops, and implements the vision, concept, and practical implementation of Adventure Theatre MTC’s theatrical productions. The AD is responsible for growing and maintaining the aesthetic value, quality and activities of ATMTC programs. Additionally, the Artistic Director helps to advance the relationship between the Theatre and various local, regional and national organizations, including government agencies and advocacy groups, community groups and local business, foundations and arts organizations. Please submit by any means that you would like (letter, video, video letter, resume, portfolio, etc.) that best represents you and your work. Include and highlight any skills or experiences you think would be most crucial to this position. Feel free to mail, email or drop off your submission. No phone calls please. ATMTC is an EOE. Job Categories: Theatre. Job Types: Full-Time. Job Tags: art director, director, fund-raising, performing, and theatre. States: Maryland.